A red cloud covers the ruins. When spaces are abandoned in the city, they inevitably fall into ruins. How can one transform the dirt and decay into something beautiful? 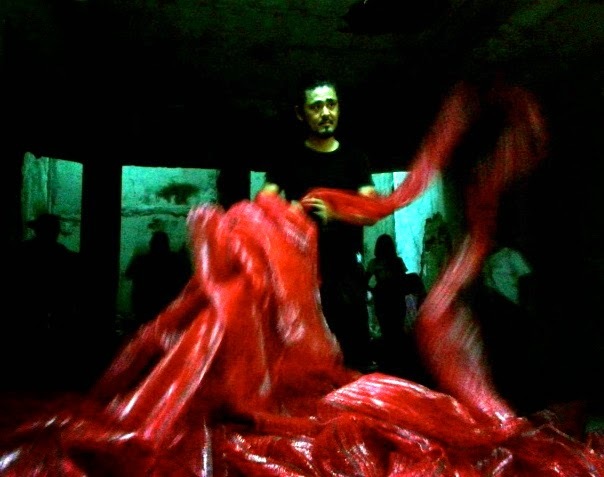 Architect Takashi Nishibori unraveling the red sheets. Thai artist Wit Pimkanchanapong, in collaboration with Japanese architect Takashi Nishibori, transforms the blighted space of an abandoned building by blanketing it with sunshade fabric, something commonly utilised in the agricultural industry but now used to revive a dying pocket of urban space. 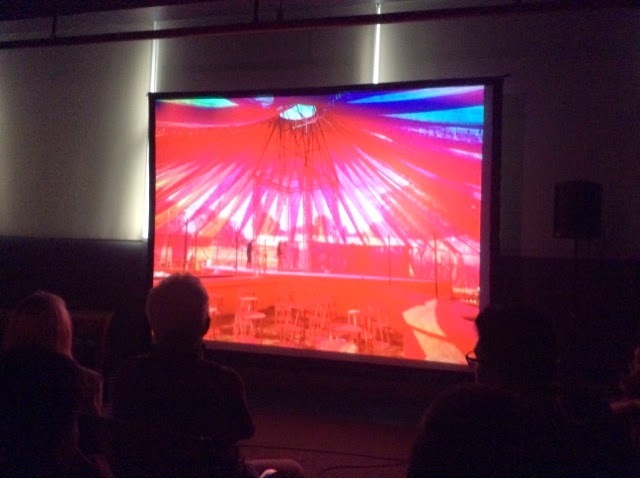 Experience this ethereal red cloud at the ruins along Escolta today, during the curator's walk through.